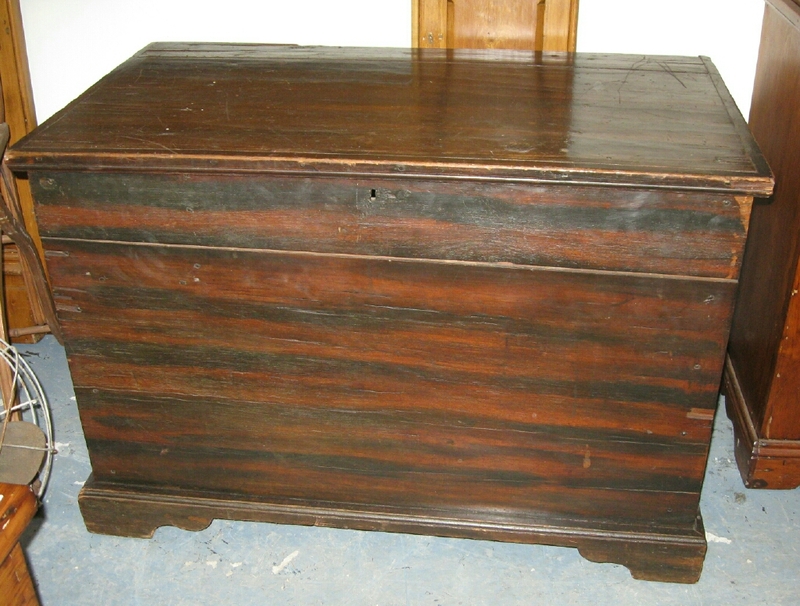 Large blanket box in the original painted finish with no repairs. 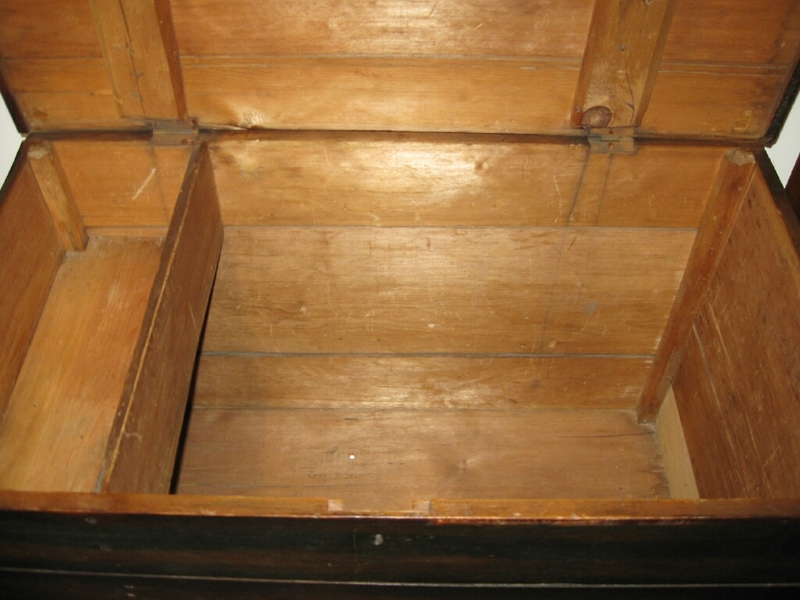 With a outside bracket base and forged nails this box is from the middle of the 19th century. It measures 42 inches wide by 24 deep by 28 inches tall.